Brendan Sloan’s instrumentals and vocals are irreproachable, twisting and turning the compositions this and that way, and providing a highly dissonant and complex framework that is in relentless evolution. That was the case on Errata, and it’s still the case on Grievous. Even the programming of the drums has evolved. While it irritated me on the debut album, here they are much more transparent and natural sounding. That’s what a decent software and careful, passionate drum programming can do; it’s much more than export the MIDI file from Guitar Pro and let EZ Drummer play it unaltered. It would be difficult to make the artificial drums sound better than here without spending hundreds, if not thousands of dollars on a new software or on custom samples. As such, I believe that the next step for Convulsing is opening its ranks and looking to include a drummer; and, possibly, other members, effectively making the solo project a full-fledged band. If Brendan, Convulsing’s mastermind, wishes to keep it solitary, then I can’t argue. I’ll still rave over the compositions that have made—and continue to make—Convulsing what it is. 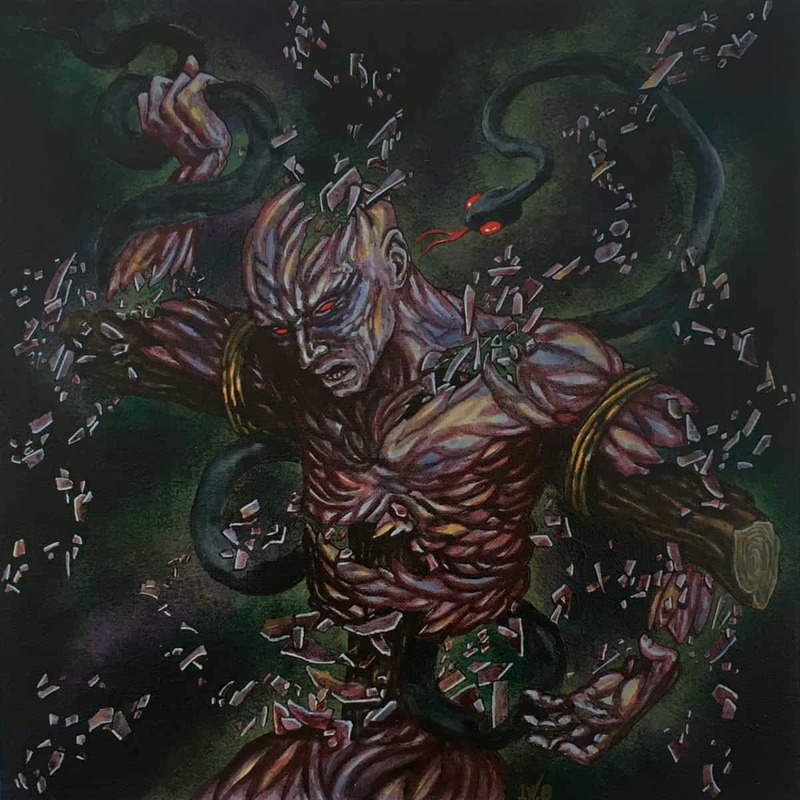 Grievous is an expectedly fantastic release, maintaining Convulsing at the top of the sphere of dissonant death metal. There are minute details where one could improve, but it’s far from a necessary change; at worst, it’s a detail that is irrelevant to most, and, at best, it’s a modus operandi that allows Convulsing to put out music more rapidly and with complete integrity of its sole member. Grievous gets my full approval.